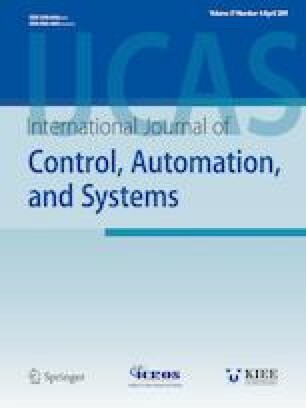 This paper addresses the sliding mode control for a class of fractional order systems with matched and mismatched disturbances. Firstly, fractional disturbance observer is presented to estimate both the matched and mismatched disturbances, and the boundedness of the estimation error can be guaranteed. Secondly, sliding mode surface is constructed based on the output of the observer. The bounded stability of the closed-loop system under the designed controller is revealed by theoretical analysis. Finally, simulation results show that the proposed control strategy can effectively suppress the effect of the matched and mismatched disturbances on the system. Recommended by Associate Editor Guangdeng Zong under the direction of Editor Hamid Reza Karimi. This work was supported in part by National Natural Science Foundation of China under grants 61873226 and 61803327, Natural Science Foundation of Hebei Province under grants F2017203304 and F2018203370, High Level Talent Support Project of Hebei Province under grant A2016015002, the doctoral foundation of Yanshan University under grant B925, and the young teachers independent research program of Yanshan University grant 15LGA017. Sheng-Li Shi received his B.S. degree in Mathematics from Shandong University in 2002, and his Ph.D. degree in control science and engineering from Yanshan University in 2014. He is currently a lecturer with the School of Science, Yanshan University. His research interests include robust control and disturbance compensation. Jian-Xiong Li received the B.S. and Ph.D. degrees in control science and engineering from Yanshan University, in 2004 and 2012, respectively. He is currently an associate professor with the School of Electrical Engineering, Yanshan University. His research interests include robust adaptive control theory with applications to electro-hydraulic servo motor system. Yi-Ming Fang received his B.S. and Ph.D. degrees in control science and engineering from Yanshan University, in 1985 and 2003, respectively. He is currently a professor with the School of Electrical Engineering, Yanshan University. His research interests include automation technology and application of continuous casting and steel rolling, modeling and controlling of complex system, adaptive robust control theory and application.